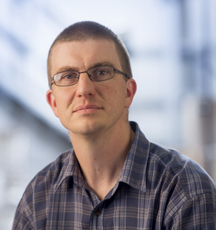 For Nicholas, problem solving in environmental monitoring is in the DNA. He took over the position of MD from his father to head the family business in 2012. By this time, he had invested five years preparing the organisation for global expansion focusing on operational excellence, innovation, information technology and international accreditations. Early career years saw Nicholas in high profile projects for BP and Shell Exploration in the petroleum industry working in remote conditions in hostile environments in South America as a project engineer where he gained experience in remote operations using state of the art remote sensing equipment. As part of the executive management team, Nicholas is keen to reinforce the ECOTECH goals of rising to any challenge to provide solutions with outstanding customer support and service in every facet of work. Nicholas is the Australian Industry representative on the Standards Australia committee EV-007 which deals with the measurement of ambient air quality, indoor air quality and stationary source emissions. 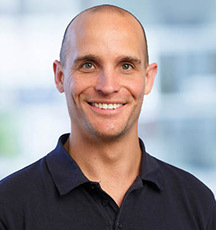 Nicholas Dal Sasso holds an honours degree in Mechanical Engineering from Monash University, and an MBA from Latrobe University and is a member of the Institute of Engineers Australia. Hemal leads with a high level of experience from corporate finance, treasury and corporate governance to the accounting and finance function at ECOTECH. He is a hands-on problem solver, adept at risk management and mitigation. His out-of-the-box thinking and strategic fore-sight has been beneficial for many of ECOTECH’s key financial programmes. Within the executive management team, Hemal serves as a specialist in undertaking long term strategic initiatives, including acquisitions. He played a key role in setting up required infrastructure for our global manufacturing unit in India. 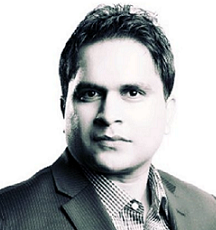 Hemal holds a MBA from Monash University, with specialisation in Finance and is a member of CPA. He also serves as a trustee and advisor to a charitable Trust in India, focusing on old age and child care. James brings a strong operational management background to his role as Head of Global Sales & Marketing at ECOTECH. James drove ECOTECH’s implementation of global best practice for manufacturing operations including Asian sourcing and supply chain management. Under his leadership, ECOTECH successfully negotiated an agreement to co-manufacture environmental monitoring instruments in China under licence. 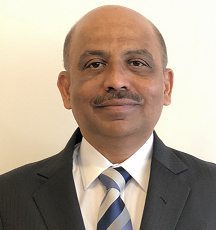 He spearheaded the planning of ECOTECH’s greenfield manufacturing facility in Indore, India and has led the expansion of ECOTECH’s Indian operations to create a global centre for manufacturing, sales and support services. An integral member of the executive management team, James’ inherent understand of what is required to deliver end-to-end turn-key solutions for his customers ensures that he continually strives to elevate ECOTECH’s performance in markets around the world. 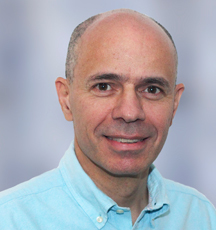 He has responsibility for ECOTECH teams located across Australia, France. India and Sweden. 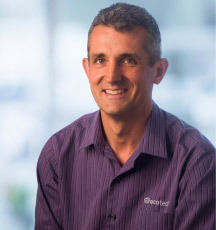 Mark is the Western Australia State Manager and is one of Ecotech’s foremost environmental monitoring experts providing trusted solutions to a wide range of clients. Prior to Ecotech, Mark worked with major multinational engineering companies, designing and manufacturing highly specialised equipment for the Ministry of Defence, British Nuclear Fuels and numerous mining companies around the globe. Since Mark took over Ecotech’s Western Australian management the state has had tremendous growth and is now the ‘preferred supplier’ to most of the major mining and resource companies in the Pilbara and Mid West regions. This has resulted in a second WA regional office being opened in Karratha. With the successful completion of a number of multi-million dollar contracts for Rio Tinto, BHP, Alcoa and Woodside, Mark has enabled Ecotech build expertise in project management of contracts. These include design, implementation and on-going service and calibration of large environmental monitoring networks. Mark holds a Degree in Mechanical Engineering and shares Ecotech’s philosophy of focussing on finding the best possible solutions for clients. Felicity is a member of the executive management team and heads international business development for Ecotech across Europe, South Africa and the Americas. She leads hands-on with in-depth experience in product development, sales, marketing and project management. In applying these within the fields of environmental monitoring across varied sectors and applications, she has contributed to the accelerated growth of Ecotech into global markets. 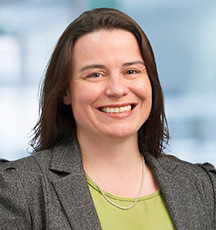 Felicity has played a significant role in the penetration of Ecotech’s nephelometer range of products into the research application field across Europe and the Americas. Felicity holds a MBA from Deakin University, Australia. Grant offers a high level of expertise and is a vital cog in the operations at Ecotech. A leader of innovation, Grant evolved from production and testing, to software and firmware development. His key achievements include writing the software used in the collection and reporting of data from Ecotech’s monitoring systems; the development of the cutting edge Serinus range of gas analysers and calibrators; the progression of the Aurora range of nephelometers and the commercialisation of the Spectronus research instrumentation. It is Grant’s passion for innovation and solid understanding of Ecotech’s instrumentation that make him well placed to assess and determine the best solutions to meet customers’ changing requirements. Grant graduated from Monash University, Melbourne with 1st class honours in a Bachelor of Computer Science and Engineering (Hons 1). He has also completed a Graduate Certificate in Management. Yunesh joined ECOTECH in 2018 and is an accomplished executive manager with strong technical, commercial and international operations management experience in medium to large complex organisations. His expertise lies in developing technical service operations and streamlining delivery of product and services in industrial manufacturing. Yunesh’s ability to build lean standard workplaces supports his consistent goal of creating long-term sustainable business growth, managing risk and solving problems across functional areas and geographical boundaries to ensure operational excellence. Yunesh thrives in environments that welcome solid, strategic thinking. With strong leadership skills, his ability to inspire, mentor, and grow high-performing teams forms an excellent foundation for his role as Operations Manager with ECOTECH. 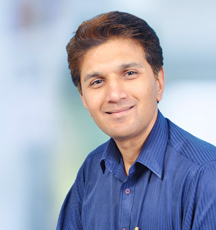 Kumar brings 16 years of quality and operational leadership to his role as Group Quality Manager at ECOTECH. Having worked in a variety of challenging organisations within the aerospace, defence and automotive industries, Kumar joined ECOTECH in 2018 and is a dynamic and results-oriented leader with a strong track record of performance in high-paced businesses. Kumar is a proactive manager with comprehensive knowledge of quality systems, government regulations, product development, procurement, manufacturing and obsolescence management. Extensive experience in technical engineering coupled with organisational auditing for AS9100, ISO9001, TS16949, ISO14001, NATA ISO17025 and NADCAP, both for local and international suppliers, make him an invaluable addition to the ECOTECH team. 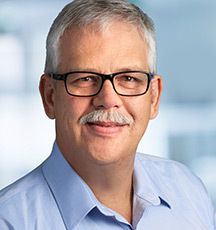 Bernard van Zyl brings exceptional skills, experience and expertise to his role as Regional Sales Manager responsible for Northern Territory, Queensland, New South Wales, ACT, Victoria, South Australia, Tasmania and New Zealand. Bernard started his career in 1985 as Construction Engineer of steam generation plant in the sugar industry in Zambia and Mauritius. Bernard joined CSIR Energy Technology as project engineer tasked with various coal research projects. Here Bernard gained exposure to isokinetic stack emission sampling. Bernard joined C&M Consulting Engineers in 1991as part owner specialising in all facets of CEMS and AQMS products and services. Bernard joined Ecotech in 2001 and soon promoted to NSW branch manager with sales and operational responsibility. Bernard efficiently grew the Air Quality Monitoring Systems (AQMS) market in and around all of the Sydney based tunnel projects as Ecotech Project Manager. Bernard thrives on the specific challenges that CEMS installations provide, and installed, commissioned and maintained a number of open path and dilution extractive CEMS systems around Australia. Bernard has a can-do attitude and is very hands-on, which has helped him in providing customers with fit-for-purpose monitoring solutions based on his own experience. Bernard moved to Brisbane in 2007 to start and grow the Northern branch (QLD & NT) to similar stature as the NSW branch today. Bernard leads a dedicated Ecotech team of environmental monitoring solution specialists, always ready to take on their client’s requirements, no matter how tough. Bernard’s extensive experience and commitment ensures Ecotech customers receive customised, integrated solutions and services, each and every time. Bernard van Zyl obtained a B. Tech (Mechanical Engineering) degree in South Africa. Raymond joined ECOTECH in 2016 and under his dynamic marketing leadership, the way the company communicates with its customers and the world was transformed. 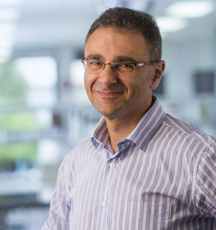 With diverse experience across a breadth of industries, Raymond has been at the forefront of innovation for over two decades, including the commercialisation of 3D printing in Australia while at Arrk Silhouette (now 3D Systems) in the 1990s. What sets Raymond apart as a marketer is his innate ability to always combine creative thinking with action. At ECOTECH, he has taken those skills to a new level, thinking globally and working across the ACOEM business to synthesise marketing practices and promotional opportunities. His formal industrial design background has provided an exceptional springboard to a career that is driven by his desire to always make his company and its people look good in the eyes of its customers. 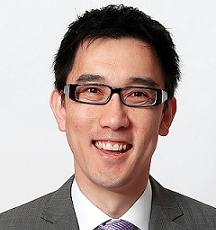 Raymond has a Bachelor of Technology (Industrial Design) from Monash University and a Master of Business Administration from Swinburne University. Robert graduated from the Royal Melbourne Institute of Technology with a degree in Communi­cations Engineering in the 1960’s. 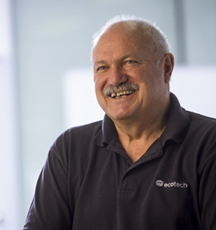 After a period of rich experience and specialisation in the field of instrumentation and communications, Robert founded ECOTECH in the mid 1970’s. He was responsible for leading and overseeing significant growth and change and the emergence of ECOTECH as a leader in environmental monitoring solutions. 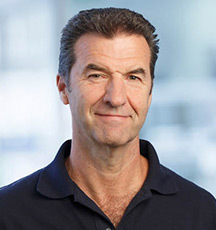 In November 2000 the Clean Air Society of Australia/New Zealand awarded him with the Clean Air award for significant contributions to the prevention of atmospheric pollution. He is still a hands-on Engineer involved in CEM and Ambient Air Monitoring Systems, Trace Gas analysers, Nephelometer and Dilution Gas Calibrators. He has given numerous training courses on up-to-date ambient air –monitoring technology, AQMS and Turnkey CEM Systems, covering theoretical aspects, Operation, Calibration, Quality Assurance and Quality Control and trouble-shooting for Ambient Air Monitoring Systems and CEM systems. Some of the recipients of the Ambient Air Monitoring training courses have been N.S.W. EPA, Pacific Power, Sedesol of Mexico, Ministry of Labour Cyprus (EPA), Queensland EPA, US EPA TAMScentre Las Vegas, Oklahoma, US EPA NC, UNHCR in the Green Zone Cyprus and many more. Robert is also a NATA ISO17O25 assessor for ambi­ent air quality monitoring in Australia. He has written a number of technical articles on Air Quality Monitoring Station and Stack Emission Instrumentation. 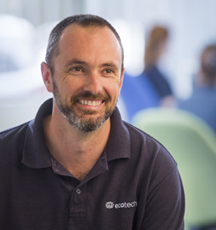 Jon currently manages Ecotech’s Environmental Reporting Services which comprises of 10 data analysts engaged in the download, verification and reporting of data from well over 200 monitoring sites around Australia. status for our chemical testing scope of accreditation. Jon holds an Environmental Science Degree with Honours from the University of Sussex. Horacio leads the Calibration & Service team of technicians with varied specialisation to provide services such as calibration, equipment services and maintenance, including the capability of the operations of Australia’s largest wind tunnel anemometer calibration with NATA/ISO 17025 accreditation. Paul has over 10 years of experience working with and managing water and air monitoring contracts for key industries in Australia. His experience includes delivery of environmental monitoring programmes with specialisation in water sampling and management. Paul heads Ecotech’s Water Monitoring Services and was responsible for the setting up of NATA accredited laboratory services. He leads a dedicated team consisting of fully trained and experienced lab and field technicians, supervisors, safety representatives, technical service providers, project delivery and laboratory managers to ensure complete, turnkey solutions to answer our customer’s needs. Paul understands the importance of accurate and reliable data and is committed to providing quality water instrumentation and services, second to none. Paresh joined Ecotech in 2016 as an Operations Manager for Ecotech, India. In this all-encompassing role, Paresh is responsible for business development, product and process design, operations, and supply chain management for the custom-built greenfield site in India. 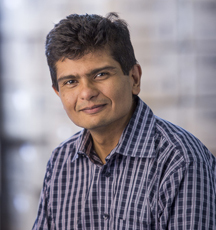 Having graduated with a degree in Engineering (Instrumentation) in 2001, Paresh has built over fourteen years of experience in product and project development within the electronics and instrumentation sector. This includes leadership roles in system design, training and manufacturing operations. Paresh is an active member of EAV (Engineers’ Association of Vapi) and the Rotary, receiving an award for ‘Promising New Rotarian of the Year’ 2015-16 (from Rotary Vapi Riverside). He also engages in social activities in the areas of sanitation, education and health. 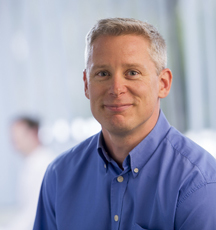 Rhys has around twenty years’ experience in the operation and monitoring of air monitoring equipment. Having started out with the Queensland EPA, Rhys worked on a secondment with American Ecotech in the US where he worked closely with local, state and federal government agencies, tribal monitoring agencies, research organisations. He also worked with mining and exploration groups as well as the US military. At Ecotech, Rhys has been involved in all forms of technical support including business development, auditing, design and installation of monitoring systems and networks in remote locations around the world. Rhys specialises in training clients and staff on instrument operation and maintenance for compliance with US EPA standards and the Environmental Protective Agency (EPA) standards.